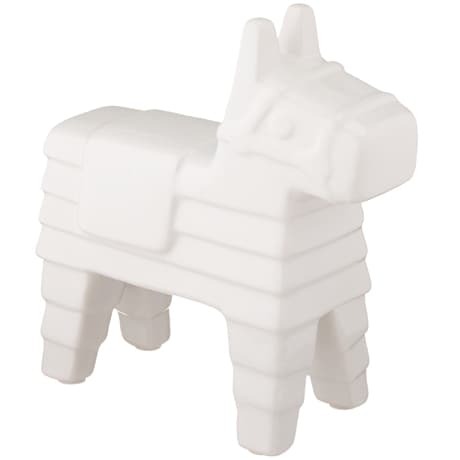 Designed by Daniel Linares Dominquez and Emiliano Godoy for Kikkerland's Sanborns Design Challenge, this adorable ceramic bank was inspired by the culture of Mexico. Insert coins at the back of the llama's head, and when you have saved enough, break him open to claim your reward (or just pull the plug from his belly and patiently shake out each of your coins). The bank measures about 6¾ inches long.